Beaducation: The Blog: 5 New Classes Added! We've been busy lately. 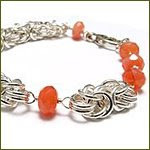 We've added 5 new online classes to Beaducation.com and we are crazy about them! 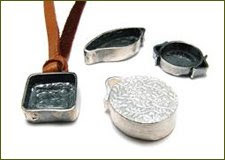 Emily B. Miller's Empty Box Pendant Online Class is a our newest PMC class. This class is all about building a strong structure to make these lovely little pendants. What will you put in your box? We love them just empty! 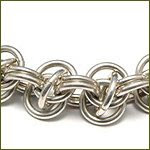 Learn to make the Byzantine chain. Watch as Colin breaks down this intricate weave into easy to follow steps to make this ever so popular design. Gather your jump rings, it's time to Byzantine! Join Colin and learn how to make this chain that starts of very simple and gets a little complex as you add the orbiting rings. 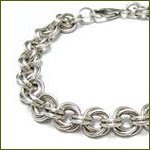 It is a wonderful chainmail design that is both fashionable and beautiful to wear. Sign up today and make your very own Orbital Ring Chain. Need jump rings? We have put together an optional kit for this class. Tired of spending a bunch of money on premade earwires? Why bother when you can make them yourself and make them to match any project. Join Lisa as she shows you how to perfect making your own earwires. 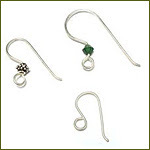 In this class you will learn to make a basic earwire and one with a bead on it. Learn to harden the wire as well as file the tip of the wire for a more comfortable fit in the ear. You will also be introduced to some new great tools which are super useful for this project.